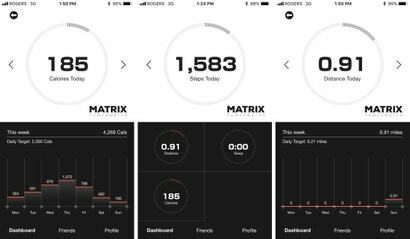 One of the most interesting gadgets I've tested in the past few years was the Matrix PowerWatch: a fitness-tracking timepiece powered only by the wearer's body heat. The battery-free technology was neat, but the watch's limited functionality wasn't. 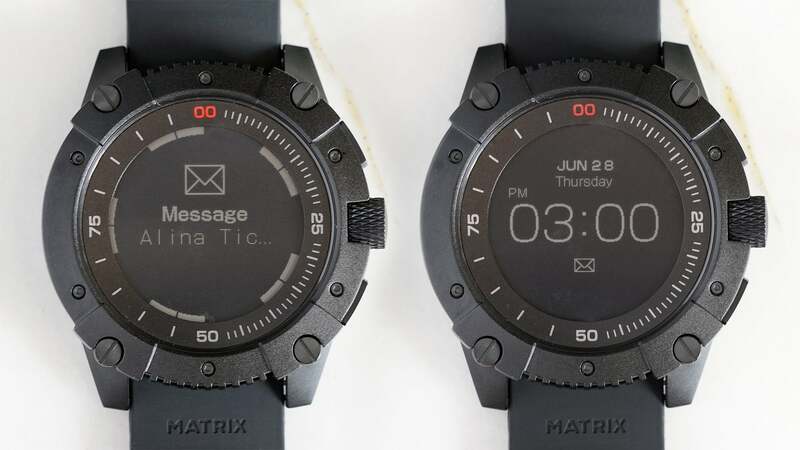 Matrix Industries' new PowerWatch X promises to be a more useful and capable wearable, but even with infinite battery life, it still falls short of being a useful smartwatch. 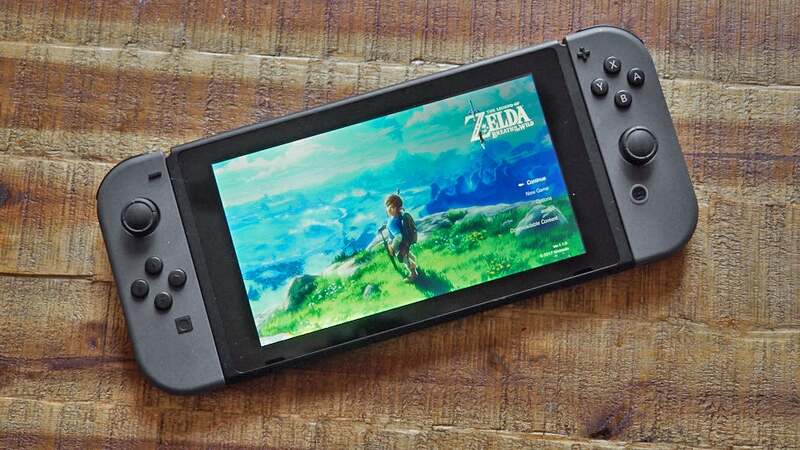 Editor's Note: We are still waiting on Australian pricing and availability. Admittedly, gadget makers have played fast and loose with the term 'smartwatch'. It's used to describe everything from full-blown touchscreen wearables, to analogue timepieces that simply track your steps. A smartwatch should undoubtedly do more than just tell time, but if I'm spending hundreds of dollars on a device that's supposed to out-perform a basic Timex, I'm looking for a wearable that saves me from having to pull out my smartphone every few minutes, and that's where the PowerWatch X disappoints. If you're unfamiliar with the PowerWatch X's most notable and innovative feature, I go into more details about its ability to harvest your body heat in my review of the original PowerWatch. In short, the watch takes advantage of the thermoelectric effect where differing temperatures can be used to generate a current. 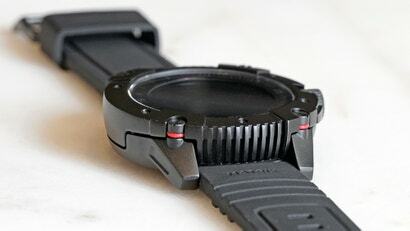 In this case, the back of the PowerWatch X, which is always touching your skin, stays warmer than the watch's face, which is exposed to the air so it remains cooler. The PowerWatch X is a bit larger than the Apple Watch, but sized similar to many fitness-focused wearables. Like the original PowerWatch, the PowerWatch X employs a basic Sharp monochrome LCD memory display that minimizes power consumption, but at the cost of reduced visibility. In a dark room it can be hard to read, and the included backlight is so dim that it really only improves the viewing situation when you're trying to look at the watch in complete darkness. Heatsinks that facilitate the watch's power system are cleverly camouflaged as part of its rugged design. The PowerWatch X doesn't feel any larger or heavier than the original model — if anything the rubber strap makes it feel a touch lighter on the wrist. 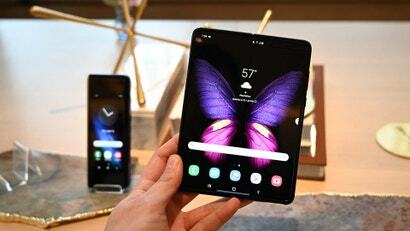 But it's definitely larger than most smartwatches, thanks to design elements like camouflaged heatsinks that improve its heat-dissipating and power-generating capabilities. 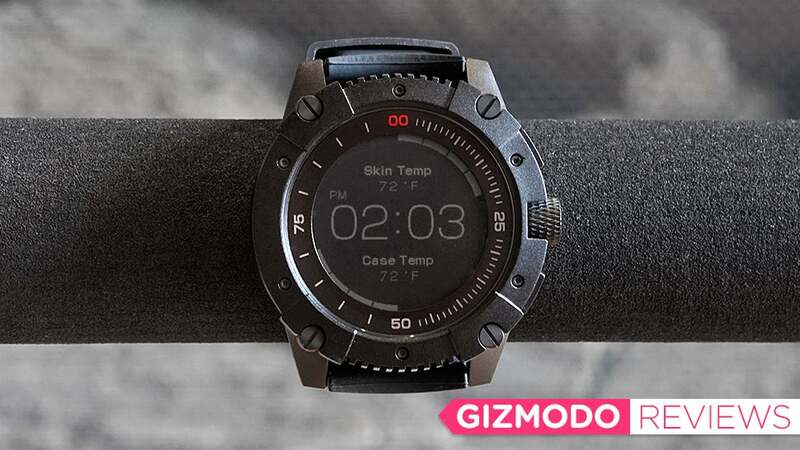 It can still easily pass for a beefy outdoors or fitness watch, however, if you're into that look. 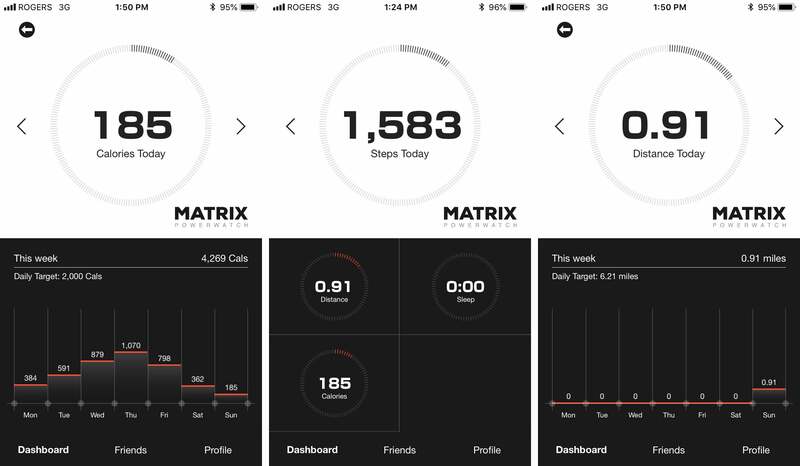 A Bluetooth connection to a free smartphone app is included, allowing the PowerWatch X to sync fitness-tracking stats like how many steps you've taken and how far you've walked. The creators of the PowerWatch also claim it does a particularly good job at estimating how many calories — a measure of heat — you burn, using measurements of your own fluctuating body temperature. But fitness buffs will be disappointed at the lack of a built-in heart rate monitor, as the back of the watch is instead dedicated to harvesting your body heat. So what differentiates the original PowerWatch from the new PowerWatch X, and justifies an $US80 price increase? Notifications... at least very basic ones. 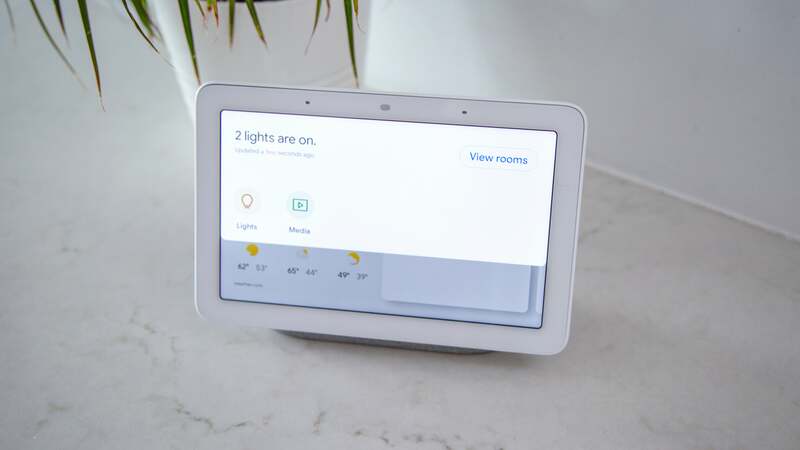 The X will alert you to incoming text messages, emails, and phone calls using vibrations and a truncated animated message on screen, and it will indicate missed notifications using a small icon that appears below the tim — but that's it. You can't see a list of received notifications, you can't see more information about an incoming message, and if you miss a notification, there's no way to tell who it was from without pulling out your smartphone and checking. 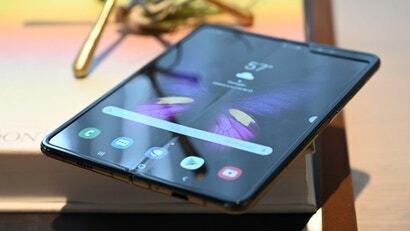 There's no touchscreen, but with two physical buttons and a crown dial that serves as a scroll wheel, a list of notifications could be easily navigated. So why is a seemingly crucial feature like that missing? Power consumption. While the PowerWatch X can generate power using your body heat, it's a very limited harvest, so the engineers behind the wearable have had to make sure the included functionality doesn't quickly drain what juice is available. 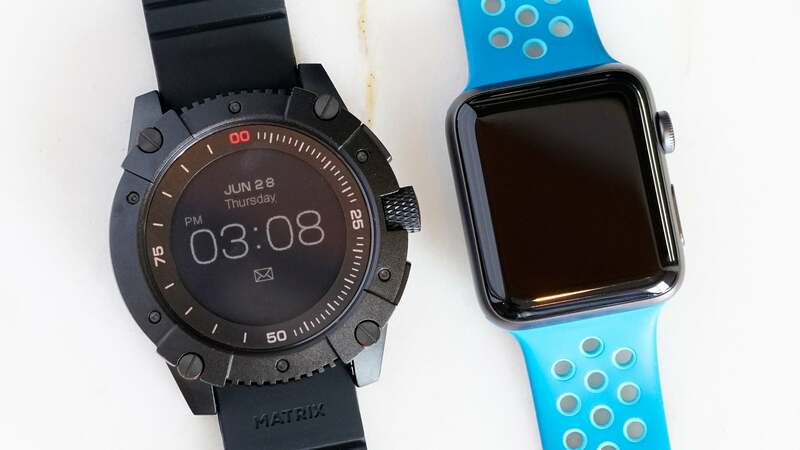 Sizing up the PowerWatch X against a wearable like the Apple Watch — arguably the most feature-packed smartwatch on the market — isn't a fair comparison. But the PowerWatch X's execution of its smartwatch features is disappointingly limited, even compared to what many basic fitness trackers offer in terms of notification functionality. The promise of never having to charge a smartwatch is a tantalising one, but the limitations of the PowerWatch X's smart capabilities are far more frustrating than having to plug your wearable in to charge a few times a week. At $US80 cheaper, the original PowerWatch is still the better way to go if you're curious about trying out this innovative technology. The PowerWatch X's new notification features are frustratingly limited. At $US280 it's $US80 more expensive than the original PowerWatch, but doesn't add enough to justify the price difference. The low-power LCD display can be hard to see in the dark, and the watch's backlight is almost uselessly dim.